BMW Individual and Alpina have taken this 4 Series to new heights. 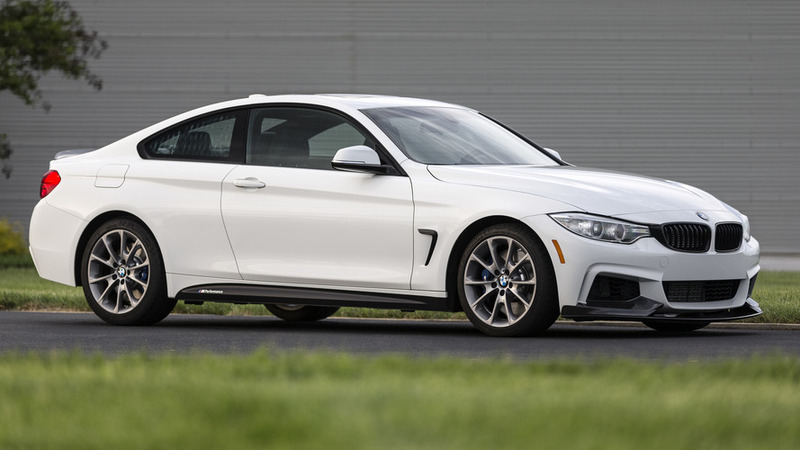 Are you finding the regular BMW 4 Series Coupe to be a bit on the bland side? Allow Alpina and BMW Individual to change your perception. This fine example is currently on display at BMW Abu Dhabi Motors, a dealer that seems to be getting the nicest toys to play with. 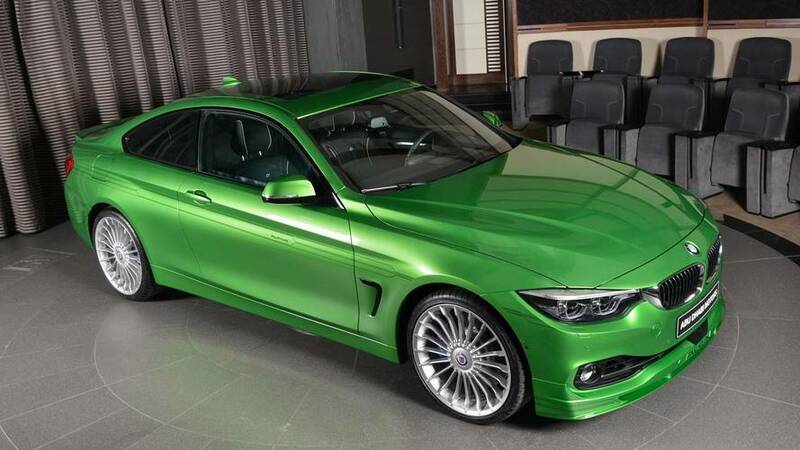 From the look-at-me Rallye Green paint applied on a more aggressive body to the upgrades implemented by the talented folks from Buchloe, this is far from being your typical 4 Series Coupe. It’s based on the recently launched B4 S Bi-Turbo and that means the straight-six turbocharged 3.0-liter engine churns 440 horsepower (324 kilowatts) and 442 pound-feet (660 Newton-meters) of torque. It’s enough Alpina-trained Bavarian muscle for a sprint to 62 mph (100 kph) in 4.2 seconds in the case of the rear-wheel-drive model, but this particular car is the Allrad version that can do the run in as little as 3.9 seconds. Top speed? A mighty 190 mph (306 kph) for the tail-happy version and 188 mph (303 kph) for the all-paw version seen here. Alternatively, Alpina can sell you a convertible version if you want the wind in your hair. There’s more to this B4 S Bi-Turbo than its upgraded engine as Alpina has also slapped on its body kit that among others includes a front splitter and a subtle spoiler lip at the back. 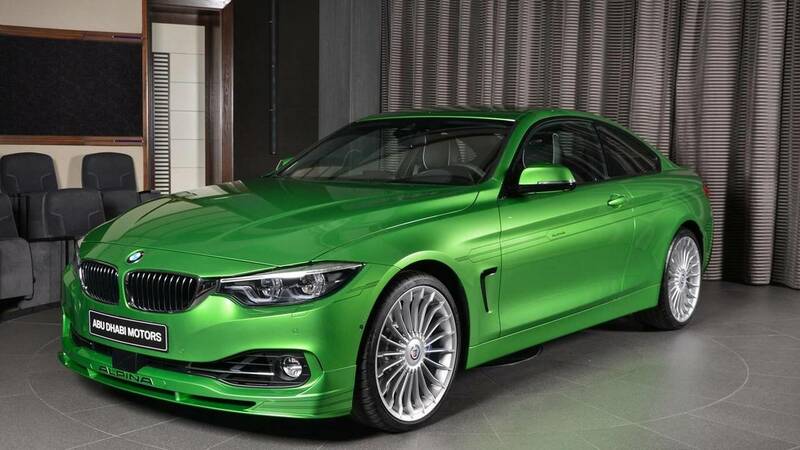 We can also observe the lovely Alpina multi-spoke alloy wheels and blue brake calipers that create an interesting combination with the green body paint. Rounding off the changes on the outside of this heavily upgraded BMW is the Akrapovic exhaust system specifically tuned for Alpina. Inside, it was BMW Individual’s responsibility to further set this B4 S apart from the more mundane 4 Series Coupe. It has green stitching on the steering wheel and blue dials for the instrument cluster to continue the exterior’s theme. The left air vent on the center console has been replaced by an extra display and there’s also a special plaque lower on the console to further denote it’s not a run-of-the-mill car.